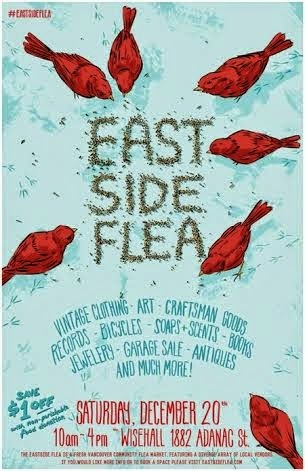 New Dates for the Eastside Flea will be added soon for the spring markets at the wise hall. In May when i get dates confirmed for the River District Farmers Markets and the rest of the summer farmer markets i will add them. As for the week long SFU, UBC, and Lagara shows i will only add them when i have enough inventory built up. I wish that the New Year is a happy and fulfilling one for everybody. Get all your Christmas shopping done by donating to the food bank. The east side flea is offering $1 off admission with a donation to the food bank. I`m more than happy to match that by offering what i have by donation if you choose. 1 can for a bar of soap. these are only suggestions, i will be happy to trade anything for a donation, Hopefully i leave the wise hall this saturday with nothing left and the food bank gets a few donations. I think i'm finally caught up on all orders. Now i can finally sleep. Really sorry about the long wait for some people. it all depends on how much time i have. As for this Saturday, it looks like i have about 120 or so bars of soap ready, along with lotions conditioners, and mud masks. Hope to see you all this Saturday. Hopefully the shaving soap i made will be ready as well. Sorry for running out of soap this year, next year i will be better prepared with lots of batches of soap ready for the Christmas season. Thank You Making This Year a Great Success.